A simple mod that replace the clothes your character wears when starting a new game. This simple little thing is a new variation of RX310's Better Starting Clothes. While the original mod is not required, please go take a look at it, download and give your endorsement. This mod will change the starting clothes your character wears when starting a new game (and so it works only on a new game). 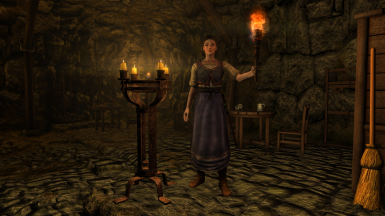 The clothes will be from Beyond Skyrim - Bruma SE, so that mod is required. 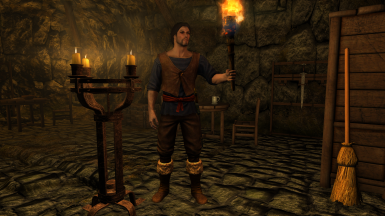 I wanted to start a new game as a fugitive from Cyrodiil, so I made this mod to give my character the look he needed to play the role. Works on both male and female of course.